I usually choose not to blog about political issues; however, this one just seems so relevant today. 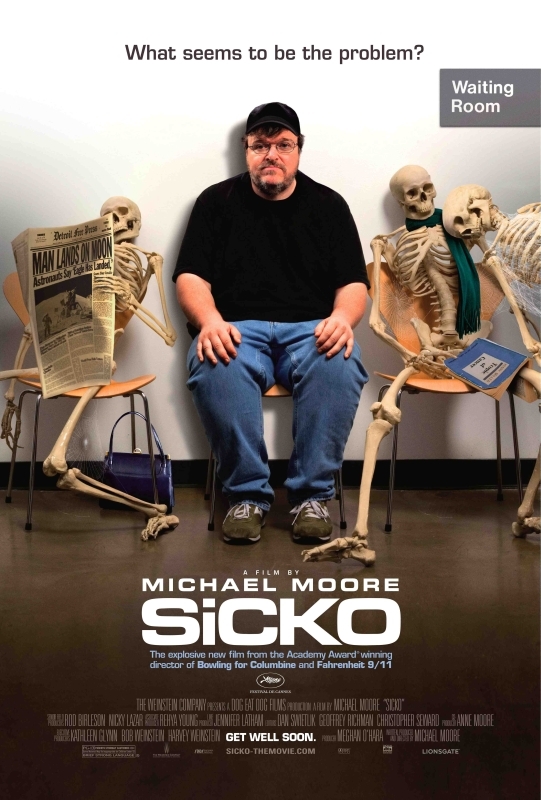 One of my good friends is in Grad School and was given the assignment of watching Michael Moore’s documentary, “Sicko”. She insisted I borrow it, so I watched it last week. It really makes you realize how the United State’s healthcare compares to that of any other country, and I mean any, even third world countries. For those skeptics out there, just give it a try, especially considering today marks the day that some health care rules will go into effect. I know many of my friends have not had problems with health care because we all have insurance, but this film really makes you think about what life would be like if you didn’t have a job or were able to pay for insurance on your own. Like I said, I’m not preaching, just wanted to share a unique perspective on our health care system and shed some light on what our government is currently trying to do.